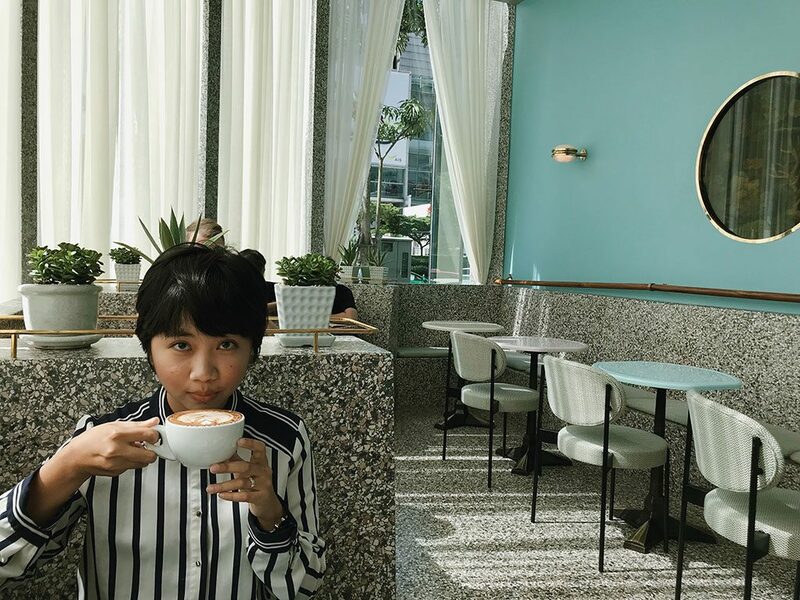 If you live in Bangkok and follow the fashion and cafe scene here, I am sure you’ve recently come across this brand new cafe many times on social media. 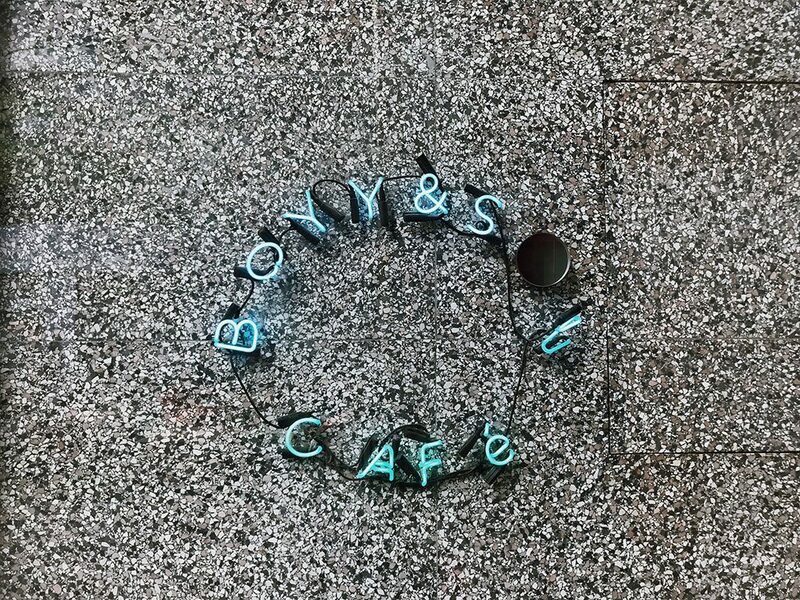 The cafe I am talking about is called BOYY & Son Cafe, and it’s everywhere on Instagram! 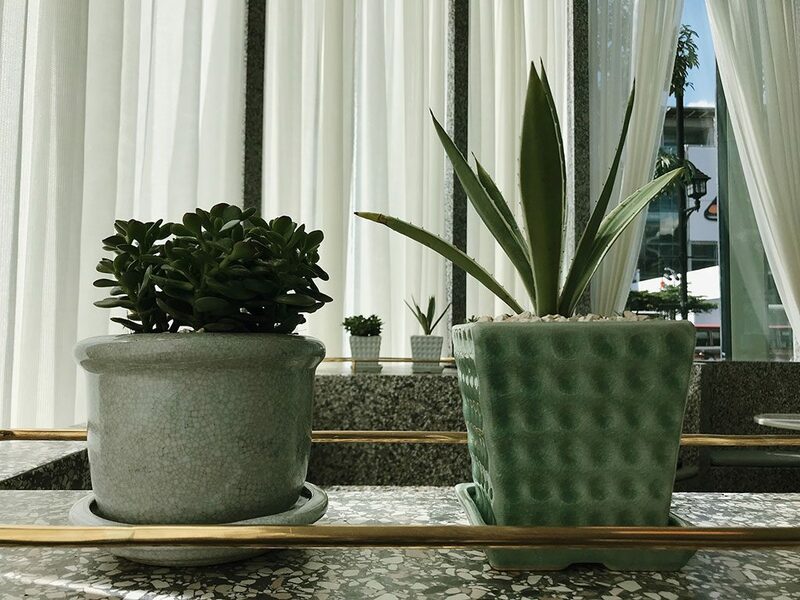 I was really excited to check out this cafe, because this latest super stylish hangout spot in Bangkok belongs to Wannasiri ‘Boy’ Kongman and Jesse Dorsey, the designer duo behind BOYY – Thailand’s highly popular and successful luxury handbag label. 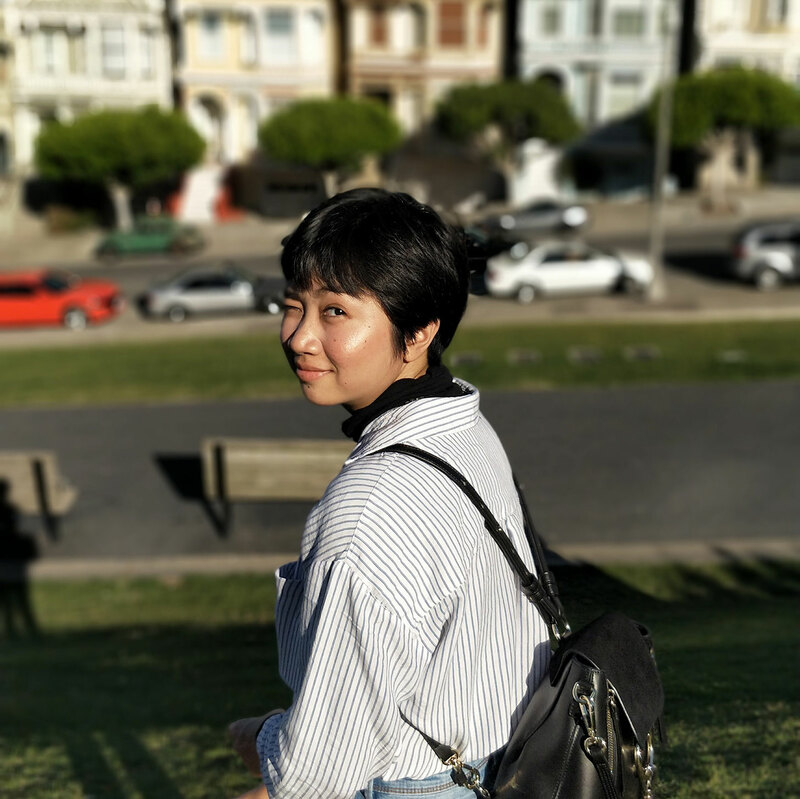 Their signature ‘Slash’ and ‘Bobby’ buckle bags have not only taken over the Thai fashion industry by storm, but have also found great success internationally, including Paris, New York, Stockholm, and Copenhagen, where in the latter city, the brand has opened its first ever flagship store in 2015. I am a huge fan of BOYY, so after seeing all these amazing Instagram shots of the cafe, I knew that I just had to visit the place and see what they have to offer. 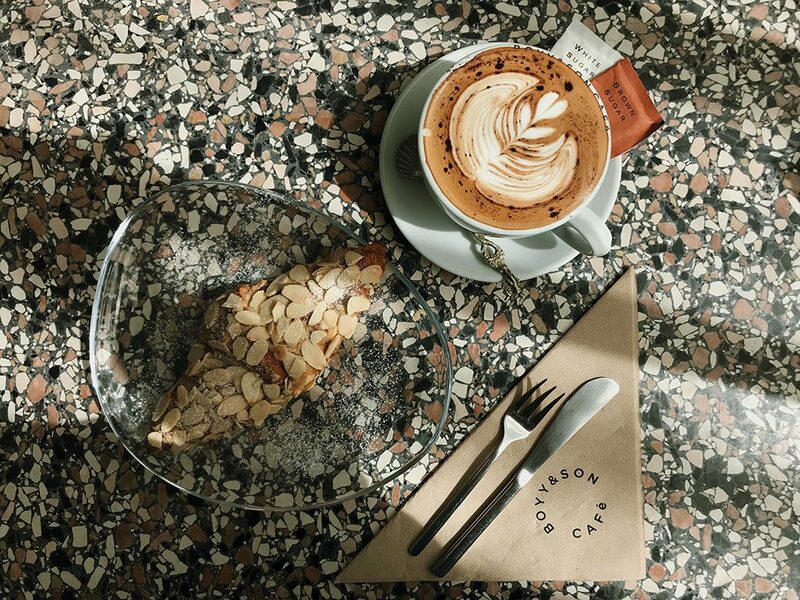 Located on G floor of the newly renovated Gaysorn Village, BOYY & Son Cafe is one heck of a coffee shop. 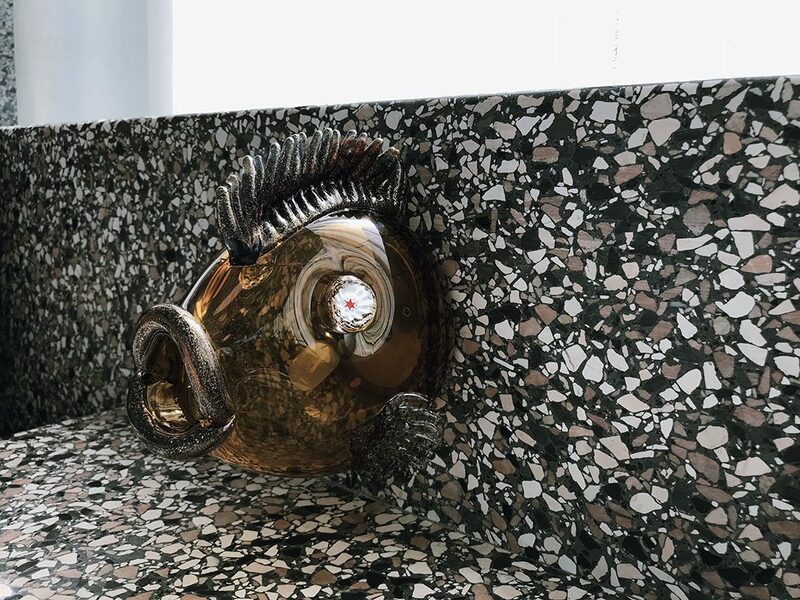 What it may lack in size is more than made up with its gorgeous interior design. 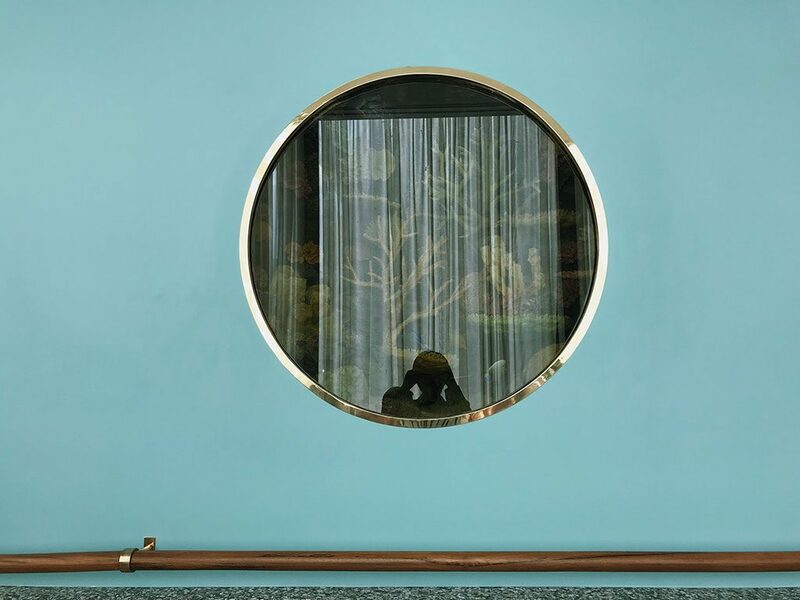 Once you step inside, it’s like you’re suddenly being transported to Europe or even a Wes Anderson movie. 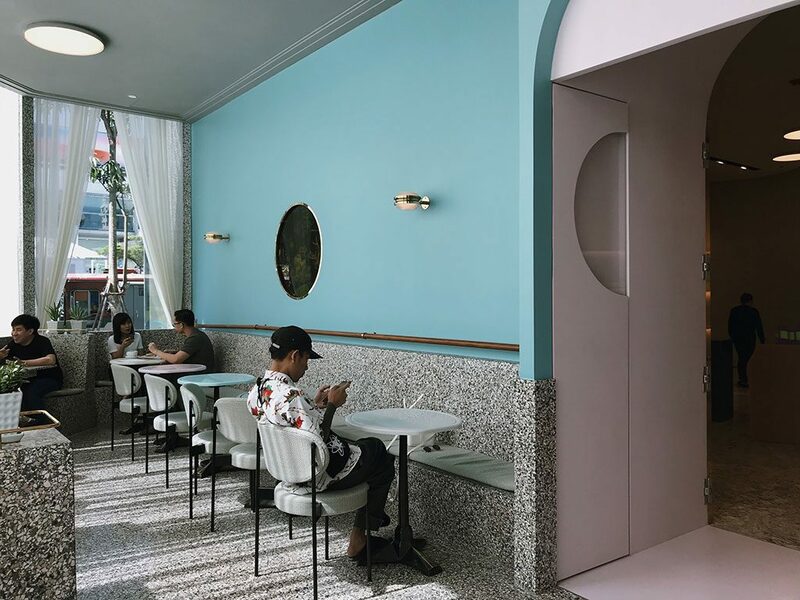 The cafe is a beautiful mix of vintage 1970s Italian decor slash American diner, where mid-century pastels meet with smooth terrazzo imported from Italy, custom made pink La Marzocco machine sitting handsomely at the bar, and a circular, built-in fish tank in the wall with gold edges. 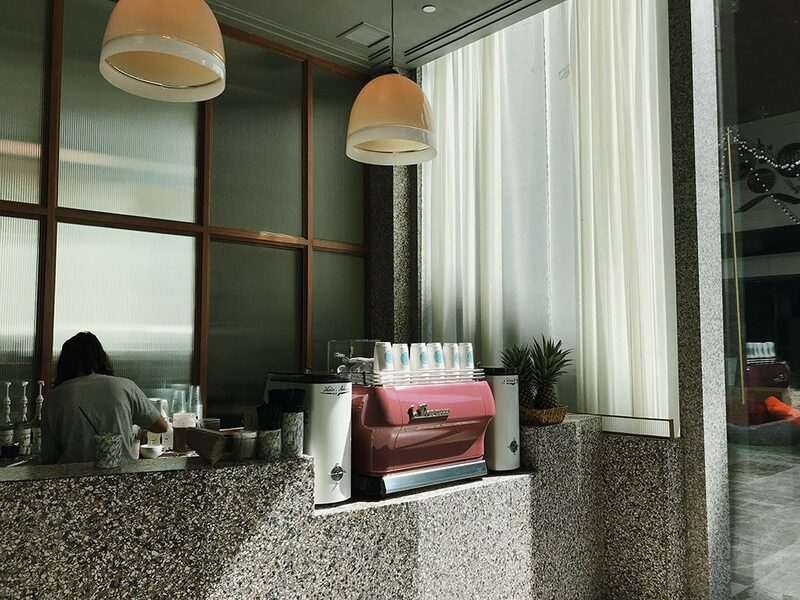 Every inch of the cafe is tastefully designed. 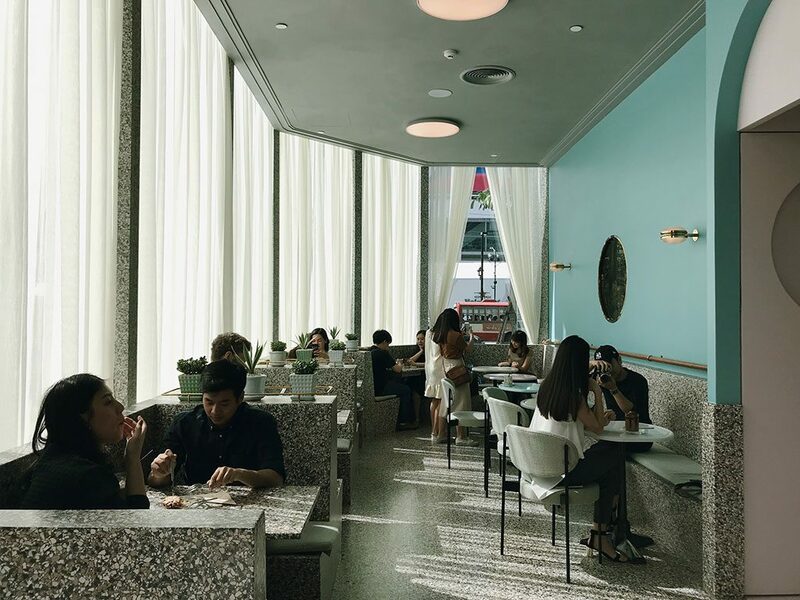 It is classy, sophisticated, yet it has a warm and friendly vibe. 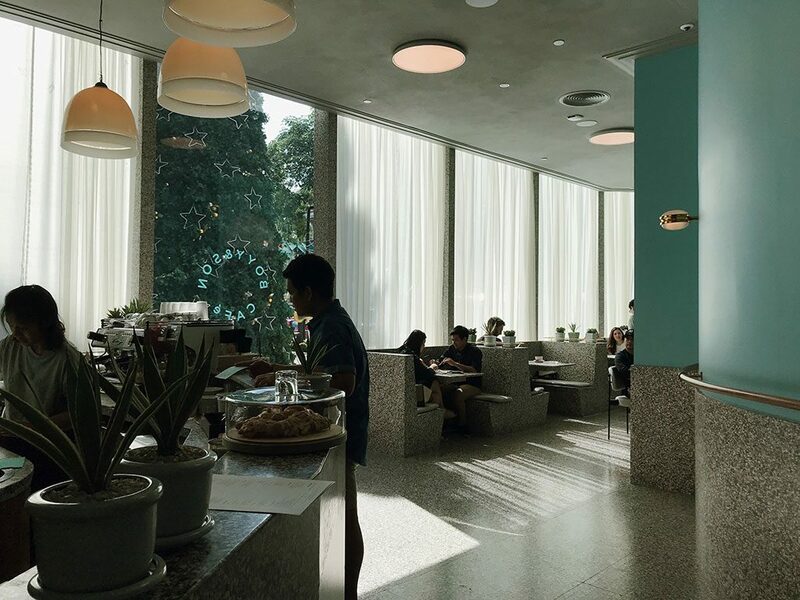 The big windows around the cafe allows natural light to shine through, making the cafe feel airy and relaxed. 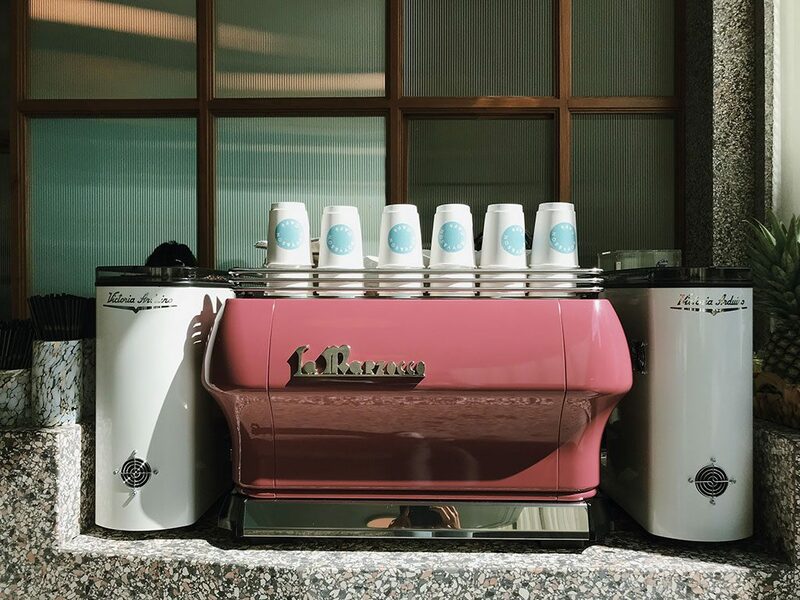 The natural sunlight is also perfect for getting those great #cafehopping shots! The menu here is pretty straight forward, which I like. 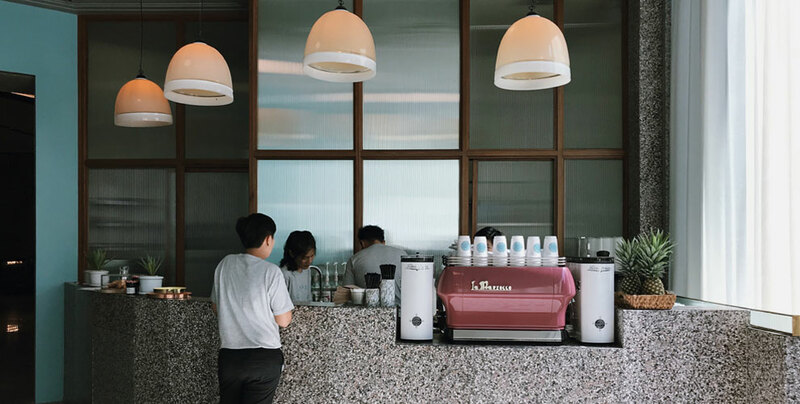 They have coffee, tea, hot and cold chocolate/ovaltine, frappe, smoothie, fresh juices, and alcohol such as red and white wine, Bloody Mary, and Aperol Spritz. They also have croissants for light bites. Adam and I ordered a hot americano (110 Baht), a hot mocha (140 Baht), and an almond croissant (100 Baht). 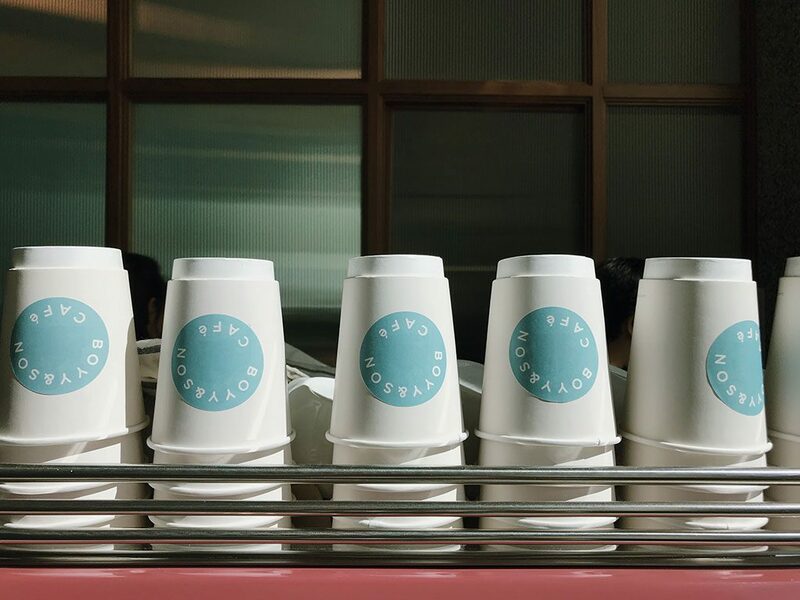 I absolutely love all the little details of their tableware, from the printed logo on the napkins and coffee cups to the vintage spoons. The color of the brown sugar packages even matches with the pigments of the terrazzo! 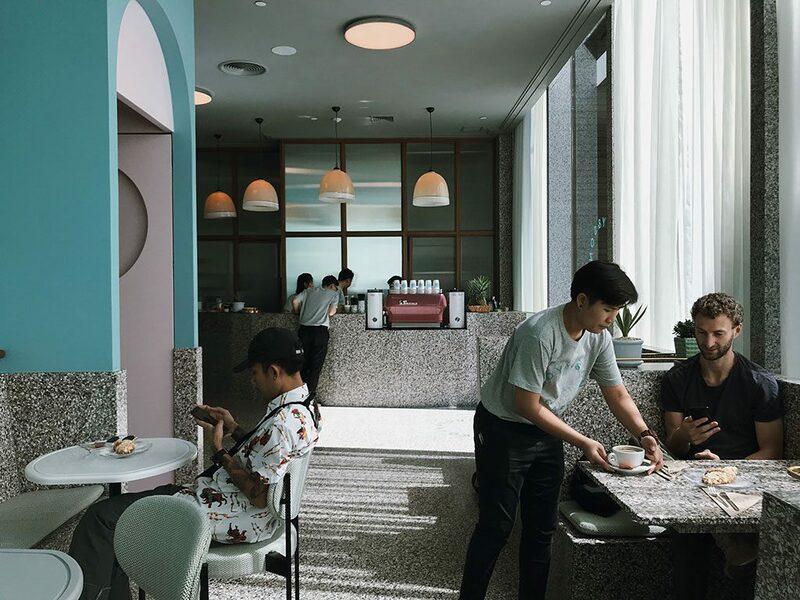 The cafe is also connected to BOYY’s new flagship store – their first flagship store in Thailand. Just walk through the pastel pink doors and you can check out the brand’s latest bag and accessories collections, which are housed in an equally stylish and attractive showroom. I’m a sucker for interior design and BOYY’s attention to detail is so spot on that it left a lasting impression on me. 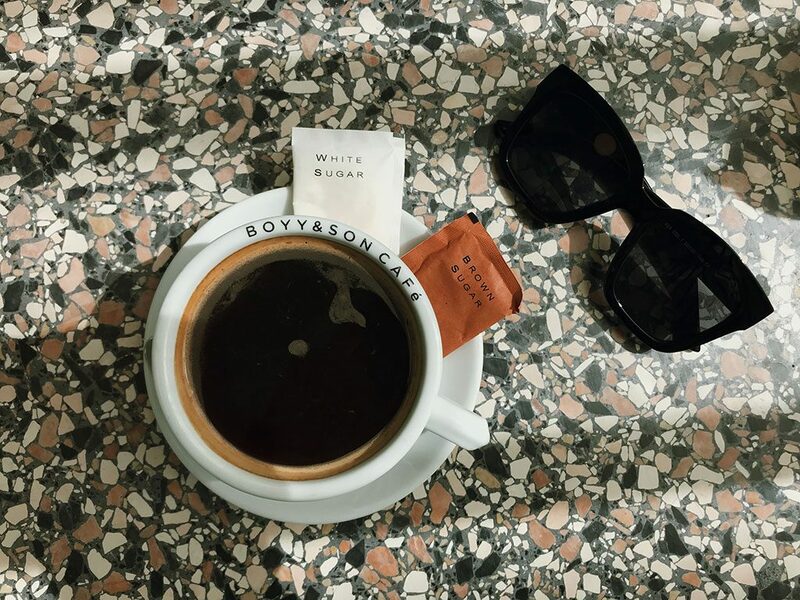 I also got to spend a relaxing Sunday afternoon with my husband drinking good coffee in a high quality cafe that belongs to my favorite Thai designer. I left feeling very inspired and in good spirits.